Story vs. History | What's the connection, how do they differ? I was at a writing workshop a couple of months ago, and one of the participants commented that writing historical fiction is easy, because the story is already there. I didn’t say anything at the time, but it’s been bugging me ever since how to articulate why that is absolutely, categorically, untrue. First, history never arranges itself into timelines with an obvious beginning, a believable plotline, fully fleshed-out characters, conflict that has a chance to get resolved, and an ending that satisfies a reader. Let’s start with the characters part. To write a novel about, say, the Revolutionary War, you must first decide who your protagonist is. Say it’s George Washington. He did lots of things that are well documented in history books. But if you’re writing a novel, you have to give the reader a lot more than an account of what happened. What happened is not a story. A story requires your character to have wants, face obstacles, overcome them, and change in some way at the end. Perhaps, for instance, George Washington is distraught by a letter he receives from Martha that demands his attention at home, but is conflicted about making a choice at that point. What is he thinking? Why would he risk the outcome of the war for Martha? Historians can’t go there, unless some written document exists that explains it. 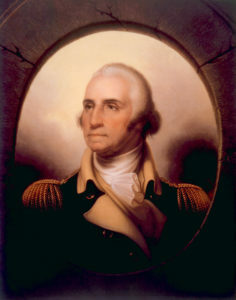 Novelists can exercise imagination to create some plausible reason why, getting into GW’s head to have a look around. Most historical characters don’t let one do that. They are a little like stick figures moving around a map, causing big things to happen around them. As novelists, our job is to imagine the big things happening within them. That’s just one example. A story doesn’t fall out of history into your lap so that all you have to do is put the words together. You have to immerse yourself in your character, in everything about their world that you can get your hands on. Usually that involves many, many sources, conflicting information, and biased accounts by contemporaries of who the person actually was as a human being. This problem gets worse when compounded when writing about someone known by everyone (like George Washington). A historical novel has to bring something new to the reader: new insight, new interpretation, a new point of view. The novelist takes what everyone knows happened and weaves a complex story around it, making historical figures come alive. One way this can be achieved is by finding a minor, or less well-known historical character, to act as your window into the events of the time. That’s what Philippa Gregory did with The Other Boleyn Girl. That’s what Anne Easter Smith does with her Richard III books, illuminating the people and forces around him and his time, giving us stories that are as alive as we are. Then, of course, there’s the problem of plot. Things in real life don’t generally happen in the right order, with the right pinch points and climactic moments, to adopt wholesale into a novel. I know a lot of readers pride themselves on spotting historical “mistakes” of timeline, for instance. Egregious errors that show ignorance of the basic material are inexcusable. But sometimes, to make a really good story, the novelist has to shift things around just slightly. While this practice may be sacrilege to a historian (whose job is similar but different), it’s often an unavoidable necessity for a historical novelist. Explaining those choices is what author’s notes are for. And it’s important to remember: although based in real events or on real people, in the end it’s fiction. Finally, finding the beginning of a story is just as difficult for a historical novelist as it is for any novelist. Deciding where the inciting incident lies, realizing that it’s not the one that everyone who studies that era of history thinks it might be, and then figuring out how the story plays out from there, is a massive challenge. What writing historical novels does is create limitations within which to work. Knowing that your story has to have externally imposed time and place limits can be freeing to a writer. Historical fiction at its best is not about facts, it’s about truth. Or at least, about helping a reader discover something true, not just about the historical event or person, but about the world. As an author who chooses to place my stories in earlier time periods and sometimes dares to involve actual historical figures, I can tell you it doesn’t feel easy at all. But for me, it’s the challenge, the joy of discovery, and the excuse to immerse myself in a different time and place that makes this my chosen metier. I still have all the same struggles to construct a story, to create round and complex characters, and structure a plot so it keeps the reader turning pages, as any other writer of fiction. There’s simply no other path. Pingback: 90% of writing is craft rather than art. Where does the 10% come from?